Here at InsideHook HQ, we see our fair share of grills. Roll-up grills. Gullwing bacon grills. Apple-designer grills. Even “smart” grills with their own temperature-sensing apps. 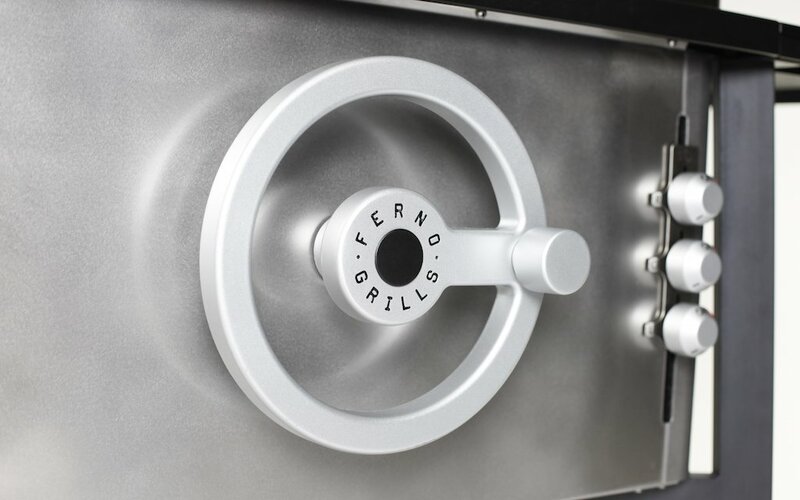 Here to knock the latter out of the valedictorian spot: Ferno Grills, a company whose first, decidedly low-tech cooker features a few ingenious touches you’ll wish you had thought of first. 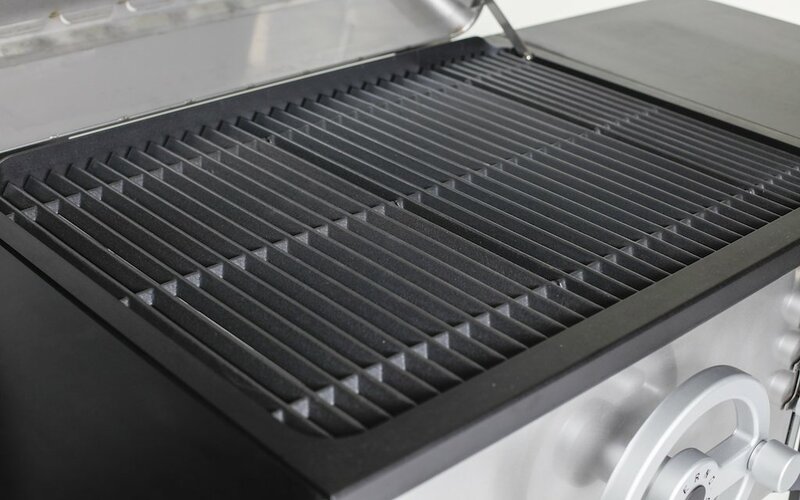 The standout element is the front-mounted fire wheel, which — instead of moving the cooking surface up and down, like we’ve seen many a time — cranks the gas burners up and down underneath the cooking surface to adjust the heat level. Now would be a good time to smack your palm against your forehead. 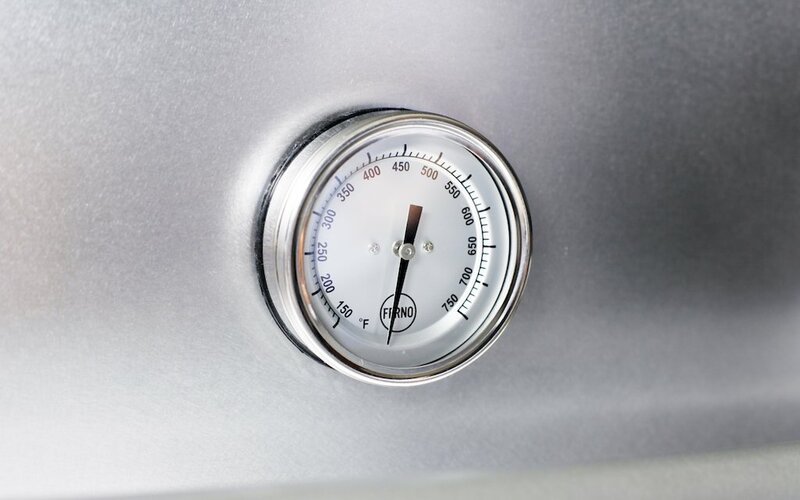 The three stainless steel, 12,000-BTU burners can be adjusted over a range of about seven inches, giving you the ability to cook everything you can on your current propane or natural gas grill (the two options available here), but with more control. Also, keeping the cast iron grates level with the removable Mapletex side-counters makes for a much more seamless experience. 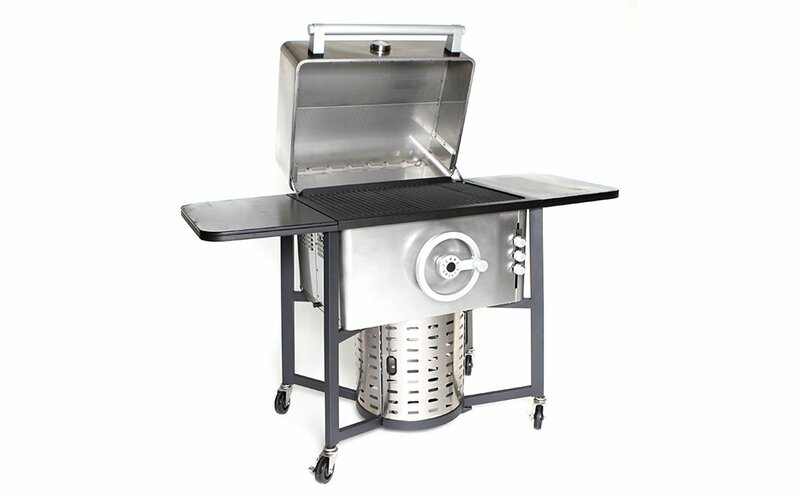 Additional features include a two-sided grate for pizza capabilities and a drop-in smoker box. 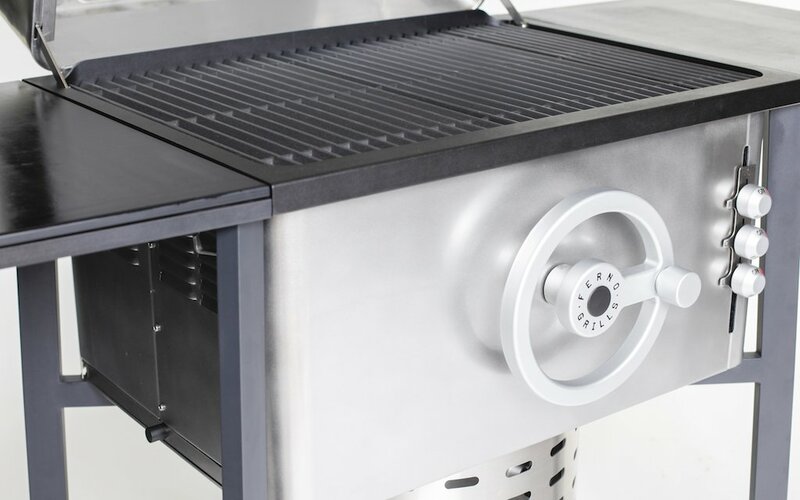 As the inventor Peck Euwer says, “It took us 4 years, 8 prototypes, 1 patent, and over 750 lbs of meat, fish, and veggies to design, test, and build the ultimate grilling machine.” If you’re in agreement over its ultimate-ness, you can pick one up for $4,200. While white glove delivery is available for those in Ferno’s “Southern and Central California service area,” the rest of the country is out of luck — for now. Hopefully by the time cookout season starts next summer, Ferno will be shipping to backyards all across this great land.